UN Women partners in the transport sector are undertaking innovative strategies to improve safety, mobility and accessibility of public transport for Papua New Guineans, including for women and girls. This follows the first-ever Gender and Transport Seminar facilitated by UN Women, where participants from donor and civil society organisations, academics and government authorities, identified specific service gaps in the current public transport system. Some shortfalls included unsafe public spaces at bus stops and on buses for women and girls, lack of accessibility for people living with disabilities, poor enforcement to regulate bus tariffs and a need of a transport regulatory framework. As such, the Road Traffic Authority (RTA) will be conducting a Household Survey to identify gaps and opportunities for improving public transport in Port Moresby. The study will take into account the different mobility needs of women and men, in order to recommend specific measures to improve intermodal connectivity and reduce travel time. Meanwhile, Fiji Land Transport Authority is providing technical support to RTA to regulate the public transport system in Port Moresby, with the expectation that transport will improve for all in PNG. UN Women Country Representative, Dr. Jeffery Buchanan, commended the partners for their support and contribution towards making Port Moresby a safe city for women and girls, including in transport. 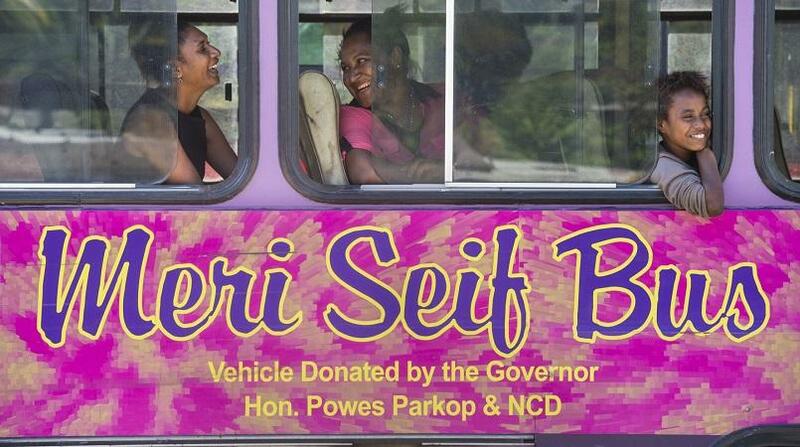 Dr Buchanan said at present, a temporary measure such as the Meri Seif Bus, a women’s only bus service, offered a safe, reliable and affordable option for Port Moresby residents. This service supports the mobility needs of over 15,000 women and girls per month and is part of UN Women’s Safe Public Transport Program, in partnership with Department of Transport, National Capital District Commission (NCDC), Ginigoada Bisnis Development Foundation and RTA. “We look forward to working closely with the transport sector to increase their capacity to include women’s mobility needs in the planning and provision of public transport,” he said.